We’d love your help. Let us know what’s wrong with this preview of Blue Sun by Tracy Abrey. A mysterious, secluded island with secrets. A brilliant teenage girl whose driving curiosity leads her to probe too deeply. A detached father who goes missing. Stalkers at every turn marked with a disturbing tattoo. An unreachable castle that holds all the answers. Genny Hazard is on a plane to the Isle of Man, a curious island in the Irish Sea. Little does she know that s A mysterious, secluded island with secrets. A brilliant teenage girl whose driving curiosity leads her to probe too deeply. A detached father who goes missing. Stalkers at every turn marked with a disturbing tattoo. An unreachable castle that holds all the answers. Genny Hazard is on a plane to the Isle of Man, a curious island in the Irish Sea. Little does she know that she is not only going to be the new kid in a strange, foreign world, but her new life on the island is going to force her to rethink her beliefs, confront her past, and face her deepest fears. To ask other readers questions about Blue Sun, please sign up. So the first thing I noticed about this book was how quick it was to read. It has an easy sort of writing style, where you don’t really have to focus hard on what’s happening or where they are to understand the story. When reading, I often found myself thinking I’d only read 20 or so pages, only to look down and see I’d read 70. Which is GREAT , because I love getting through my TBR quickly (who doesn’t??). And the easiness of it made it a fun read too. While I wasn’t particularly hung up on it, I did wonder what would happen next. I did look forward to going back to the book. More specifically for the science vs folklore aspect to the story. Because this book follows Genny Hazard (GREAT name by the way), daughter of scientists, scientist herself, only believing in facts. And her almost infuriating stubbornness when it comes to opening her mind to folklore in the Isle of Man. Two things right there have got me – 1. The Isle of Man. I’m pretty sure I’ve never read a book set there, and yet I love the idea of it. So I was thrilled to see this entire book based there. 2. Folklore. I adore folklore / fairy tales / myths / whatever you want to call them. Absolutely adore them . Even if they’re completely new ones made up for the story. And yet this was somehow both a good and bad thing? Good, because I loved what I saw of the folklore. I could imagine this island full with a community of folklore-believers. Bad, because I wanted so much more of it! I wanted more descriptions, more old stories, a more magical feel to it all. The relationships. Now, I know I said this being a quick read was a good thing, but personally I’d have enjoyed it more if the change in relationships just slowed down a bit . I’m all for the slow-burn type, so the main relationship in this moved waayyyyyyy too quickly for me to hop on board with it. But even with the other relationships, like family and friends – they all seemed to switch so quickly. I think it’s partly why I didn’t feel too close to the characters in general. I AM looking forward to the next book though (which was kindly sent to me along with this one, so thank you! I won’t have to wait in suspense mwuhahahaha). A lot of big events happened towards the end, and I’m really intrigued to see what will happen to the characters – and all of the island, in fact – now. Because while this book wasn’t mind-blowingly amazing, it was fun, easy to read, and entertaining from start to finish. I was pleasantly surprised by this book – at first glance, I was worried that it might be badly written, purely because it’s released through CreateSpace and their track record is sometimes dubious. But thinking of this book like that is doing it a discredit – it’s a gripping read, and a page-turner, too. Okay, sure – it is a little bit hippie-ish in places, but that’s not necessarily a bad thing. In fact, the bo Disclaimer: While I aim to be unbiased, I received a copy of this for free to review. Okay, sure – it is a little bit hippie-ish in places, but that’s not necessarily a bad thing. In fact, the book explores what happens when hippie stuff clashes with science, with interesting results. As it’s set on the Isle of Man, it also features some Manx references, but not so many that it makes it difficult to read. It reminds me of the Hiraeth series by Liz Riley-Jones, which have a heavy Celtic theme to them – they’re fantastic books as well, and the third one is about to come out. If you like this then you’ll like that, and vice versa. Loosely speaking, we follow the story of a girl called Imogen (‘Ginny‘) as she moves to the Isle of Man with her father, a scientist who’s ostensibly researching forms of alternative energy. However, all is not as it seems – the island harbours a secret, as Ginny discovers as she begins her new life, at a new school, with new friends and new enemies. As an alternative YA read, you can’t fault this book – personally, I thought that the ending was a little weak, and that the cliffhanger that the author left ahead of the next book in the series felt more like an arbitrary pause in the manuscript than an actual ending, but it does at least leave the reader looking forward to reading more. I thought this would be a slow read based on the first chapter but then I got pulled in and had a hard time putting the book down. I kept wanting to find out what would happen next and finally stayed up the rest of the night to finish it. Good suspence and interesting unravelling of the character. Would like to see the story continue. Cant say more without giving away the end. 2.5 Stars out of 5. I won this book in a Goodreads giveaway, (My first win, actually! Yay!) and I would like to thank both Goodreads, the author, and everyone else involved for giving me the opportunity to read this. The fact that I received it for free in no way changes my opinions on it. Blue Sun is the story of a teenage girl named Genny Hazard who moves with her father to the isle of Manx. While there, Genny meets many strange and quirky people, a 2.5 Stars out of 5. 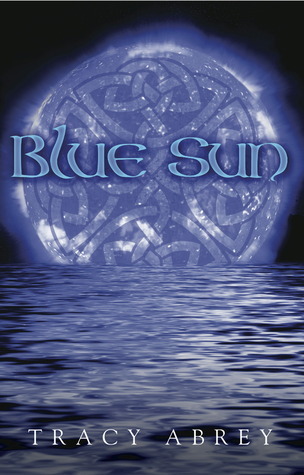 Blue Sun is the story of a teenage girl named Genny Hazard who moves with her father to the isle of Manx. While there, Genny meets many strange and quirky people, and deals with the superstitious attitude of the island's inhabitants. But when she learns that others around her might be up to nefarious deeds, including her dad, Genny discovers that the fantasy and beliefs of the people around her may have more power than she originally thought. Firstly, I want to express that while I'm not giving this book a super high rating, I did genuinely enjoy it. There was a lot that I liked, and I got a general vibe that the author was interested in/cared about the story she was telling. On the whole, this story was fun. It was at its best when the characters were having their lighthearted moments, at least in my opinion. That being said, I had some issues as well. But we'll get to those. I've got to give Ms. Abrey some credit when it comes to the setting of this story. It's usually not easy to get me intersected in locations and settings. Unless it's very unique, real world places in literature don't often interest me. But I was definitely interested in the Isle of Manx. After reading Blue Sun, I spent some time researching the Manx people, their history, and their language. It's all very fascinating, and I want to give kudos to Ms. Abrey for inspiring that spark of curiosity in me. While her disdain of fantasy and literature is a bit overblown, I appreciate Genny as a heroine. She's clever, doesn't get hyper-emotional or blow things out of proportion, and is spunky without being obnoxious. Okay, at least most of the time. Sometimes she is annoyingly stubborn, but on the whole, I liked Genny. How she reactions to events is a different story. There are several times in this book where Genny sees magic, and she never freaks out as much as I'd expect her to. For example, every so often she subconsciously starts drawing strange symbols, and she barely seems to question what's going on, or even seems unnerved. Those scenes were confusing in general because I didn't understand what she was doing, why she was doing it, and why she wasn't weirded about her own actions! But let's move onto our love interest, shall we? Let's talk about Ken! Because I REALLY liked this guy a lot! This Ken was a breath of fresh air after spending so much time recently with annoying, brooding, sleazy, trashy, whiney YA boys who are pathetic. It was surprisingly pleasant to read about someone who is just a nice guy, someone who seems to honestly care about VARIOUS people (meaning more than just the love interest), is intelligent in different ways than Genny, has passions, acts somewhat normal, is cheerful and enjoys life. That sort of character shouldn't really be a rarity, but is. As for everyone else...I found them to be pretty underused or not well developed. I got the gist of characters like John, Cedwyn, and I liked Reg enough. But everyone else was underdeveloped. Some people just felt like they were steamrolled over and forgoteen, which is a shame. If you're going to spend time creating the way a character looks and name them, devote some time to flesh them out. He's an incredibly important part of the story, and yet he's completely underdeveloped. The only adjectives I can think to describe him are distant, and jerk-ish. If the author wanted me to care about this guy, or care about his relationship with Genny, why didn't we spend more time learning who this man was? We could have had some flashbacks to a happier time, the old relationship he had with Genny, memories of how much he adored his wife, just...SOMETHING. He's essentially our primary antagonist, but I don't care because I don't know him! His transformation into someone Genny doesn't know doesn't work because we were never given past memories to show a contrast. This book, while having some great elements and ideas, seems to be confused about what genre it wants to belong in. Don't get me wrong, I like a lot of these story elements! But there are too many genres competing for attention. Then we throw in some mild thriller elements with Genny's paranoia over the tattooed people. And at the end of the story, we get a mix of sci-fi/time travel and epic disaster/end-of-the-world elements. Now, I like a lot of these things, but together, there's just too much going on. I felt like there needed to be more of a focus. Pick a couple of genres, and stick with them. I think it would have made for a tighter story. The time travel stuff especially comes from out of nowhere and is a cool idea, but jarring. The whole 'going-back-in-time-to-save-lost-loved-one' was pretty cliché. Once again, if it had been better developed and set up, and not come at the very end, I probably would have liked it better. A big deal is made about how Genny is the special one, but I never saw it pan out in a helpful way, because in the end, she failed! The island sinks, her dad gets away, and everyone's in quite the predicament. All she gets for a consolation prize is Ken. Despite the genre confusion, I did think that the writing and pacing of the story got significantly better as the story continued. During the first chapter especially, things felt like they were just whizzing by with little to no transitions. That initially threw me off, but the quality of the writing improved later. And the writing was competent for the most part. There were a couple of places where I re-read sections and thought, 'That could have been smoother,'but overall everything was fine, if a bit unpolished.
" "I love you," Ken said. "I love you too," I replied. He grabbed me and kissed me...I ran my hands though his hair, as I had longed to do every time I watched him scruff it up in frustration. He was mine, and I was his. "Marry me," he whispered, his lips still on mine. "OK," I whisper back, without a second of hesitation." "
I'm sorry, I don't think I heard you right there. Could you repeat that...?
" "Marry me," he whispered, his lips still on mine. The kiddos are 17 years old. SEVENTEEN. Speaking as someone who knows what it's like to be seventeen, I'm saying this is crazy. The romance built up in this book was sweet. I liked it. It didn't feel like it came out of nowhere, and was believable. Genny and Ken are friends, and eventually there relationship becomes deeper and more meaningful. It's actually natural! I can't wrap my brain around this! YA Marriage proposal rule list! This has already been discussed above. Typically, maturity is required for a successful marriange. And maturity tends to come with age. Teens getting married seems like asking for a divorce later in life when you decide that you are totally different people with different life ambitions and goals. 2. Know each other for a long period of time. I don't care if these characters have spent every waking moment of a week together. Unless they get to know each other over a decent period of time, I can't consider their feelings to be much more than infatuation. Get over the star-struck phase, and then we'll talk about marriage. Genny and Ken know each other for what I'm guessing is a couple of months. It's not enough to warrant a proposal! An invitation to be officially girlfriend and boyfriend? An invitation to get hitched? 3. You have to have parental consent if you are underage. Um, excuse me, how exactly are Genny and Ken even going to get married?! Granted, I don't know how marriage laws work on the Isle of Manx, but still! I know Genny's Dad isn't around to agree to marrying off a minor, and that her mom is dead. I suppose you could say her dad is gone now too, since he traveled back in time. But I still assume that SOMEONE needs to give consent! Who is Genny's legal guardian? Ken has Cerdwyn, but Genny shouldn't be allowed to even get married! It wouldn't be legal. ...THAT KEN AND GENNY GET MARRIED TEN PAGES LATER. Within the last 25 pages, we have a proposal. Why is it happening a couple of days after the proposal?! Why?! How?! Huh?! 4. Have a decently long engagement! Seriously. I can't process something like this. Having the characters get married and ending the book with a wedding?! Complete with going around asking people to participate in your wedding party when the island clearly has bigger issues at hand? "Genny dear, what do you think you're trying to pull here?!" No one besides the reader is reacting that way. And in the end we have a wedding. I was shaking my head groaning the whole time about how everyone was going to regret this, because it wasn't right. Everything about this marriage feels forced, rushed and tacked on like a false happy ending. It's jarring and hurts the story and characters far too much. I can't take it seriously. I just can't. Okay, so despite me being harsh on aspects of this book, (Particularly that ending marriage, grrrr....) I want to emphasize that I did generally like Blue Sun. The main characters were likable, the setting was intriguing, and the plot was fun. There were issues, but I found while I was reading this book that I kept wanting to come back. The world was fun and easy to read. It didn't feel like a huge chore to read this book, which is saying something for me, because sitting down to read a story usually takes a lot of effort of my part. I'm not a 'sit-down-and-read-a-book-in-one-sitting' type of person. I'll get tired of what I'm reading and have to force myself to finish a lot of the time. But this book was fun to read, and I'm still not quite sure why. I think it's the quieter moments that bring this book up, the moments when Ken and Genny are hanging out, just talking and being nice. They're having fun, and I am with them. When Genny Hazard’s scientist father is offered his own lab on the tiny Isle of Man, she has no choice but to leave everything she knows and go with him. With her American accent she is sure to garner some attention at her new school and around town, but Genny never expected to attract the attention of the hot school swim star, Ken. Nor did she expect to be followed by people sporting a peculiar tattoo on their necks. Genny is extremely smart, and believes strongly in science and logic, but the island is swathed in legends and myths. At first Genny scoffs at such nonsense, but soon she will have to re-examine everything she’s ever known, altering her life as she knows it. Blue Sun is a captivating young adult fantasy. It was fairly quick paced and each chapter left me wanting to read the next. I found it interesting and a little different. It’s not just another apocalyptic teen novel, it begins the story well before any disaster can befall the island community where the book is set, so it’s more of a pre-apocalypse novel. We get to know the characters as they are before they have to re-adjust to a new world, which I liked. Elements so often seen in young adult fiction, such as girl meets boy, new school, parent issues, are there, but the story goes deeper than that, as the mysteries of the island are uncovered. The story is set on the Isle of Man in the Irish sea. The author has obviously put a lot of research into the island’s history, culture and myths, which created a very realistic scene. There are some references to Manx culture and language, though it didn’t make it difficult to read and there is a list of translations at the back of the book. The mythic elements that are so much a part of Ken and his family really clash with the science of Genny and her father. This collision of ideas and beliefs was interesting and cleverly constructed. Swaying Genny into believing occurrences outside of the scientific realm was a difficult process, but one which needed to occur. There were a few moments of cheesy romance, but it wasn’t forced. I was even glad that Genny got to experience young love, as she certainly wasn’t getting much affection from her father. She is quite independent, almost defiantly so, but she has to be that way to cope with her mother gone, and her father pulling away form her. She’s a good, strong character, and I liked her. Genny will never really be “normal”, but her path of self-discovery from brilliant loner to an integral part of her new community made her seem more like the teenager she is, despite her apparent destiny. The other main character, Ken, is also complicated, yet charming and lovable. Despite his popularity, and his swim star status, he is neither a dumb jock, nor a prig, he is actually just a nice guy. His family is a little odd, especially his mum, with her hippyish clothing and occult crystal store. I can even smell the incense wafting through the beaded curtains… I thought all of the characters were well developed and described. The ending was a set up for the sequel, so I felt a little deflated when I finished. I just wanted to keep reading about Genny and Ken and the Isle of Man. Luckily for me, the next book in the series, Dark Waters, is now available! Blue Sun is the first installment in the Blue Sun series from Tracy Abrey, and is suitable for high school students and up. This book had me interested right away. I especially liked that it took place somewhere that I don't really know much about- the Isle of Man. I loved the fantasy elements. The only part that disappointed me was that the fantasy parts didn't come until towards the end, but it worked for this story. I hope there is a sequel because I can't wait to see what happens to the island next. I received this book through Goodreads First Reads. Well it obviously was an easy read, I finished it in a day and it was okay, though definitely YA and a bit more hokey that I like. I will at some point read the second book out of curiosity because it was one of those that ended not on a cliff hanger but certainly on "there is more to this story" note. Blue Sun captivates the reader's attention from the first chapter. Abrey doesn't reveal much in the beginning of the book, leaving the reader no option but to not put the book down. The characters are dynamic and the plot line is creative. Whether you are a fan of urban fantasy novels or not, this book is definitely a worthwhile read. This book started out with promise but then...the weirdness! The strange tattoos worn by the group of Protectors was compelling--had to know what that was about. But it just fizzled--the blue light and weird "matter" and her dad trying to go back in time and then the underground bubble and getting married. It was too weird. Take the first half of the book and rewrite the last half. This review has been hidden because it contains spoilers. To view it, click here. Other than the fact that Genny gets married at the age of 17, and that she doesn't push harder to know what Celine knows, this was a really enjoyable YA fantasy. I am not sorry i bought it ,but I am really not into to that kind of genre of books. I bought it because it was free to my Amazon account. The book was well written. The plot keeps you interested from the beginning to the end. I will read the next book. I recommend this book. Tracy Abrey has been passionate about writing since stating in her second grade “school days” book that when she grew up she wanted to write books. Earning a BA in English literature and French from Houston Baptist University and having taught high school English as she pursued her MA in English literature at DePaul University, her childhood passion has morphed into an adult career focused on youn Tracy Abrey has been passionate about writing since stating in her second grade “school days” book that when she grew up she wanted to write books. Earning a BA in English literature and French from Houston Baptist University and having taught high school English as she pursued her MA in English literature at DePaul University, her childhood passion has morphed into an adult career focused on young adult urban fantasy. Abrey has lived in Canada, France, and England and currently resides in the US with her husband and two children. Blue Sun, Tracy's thrilling new young adult urban fantasy, is in the process of being published and became available in November, 2013. Tracy is currently writing the sequel to Blue Sun titled Dark Waters which is predicted to be out in late 2014.